This national park is a real gem. 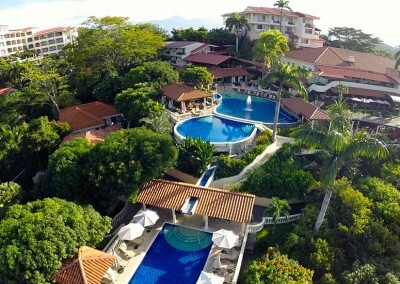 Wildlife, rainforest, beach and ocean – all in one place. This national park is one of the main attractions in this central Pacific area. 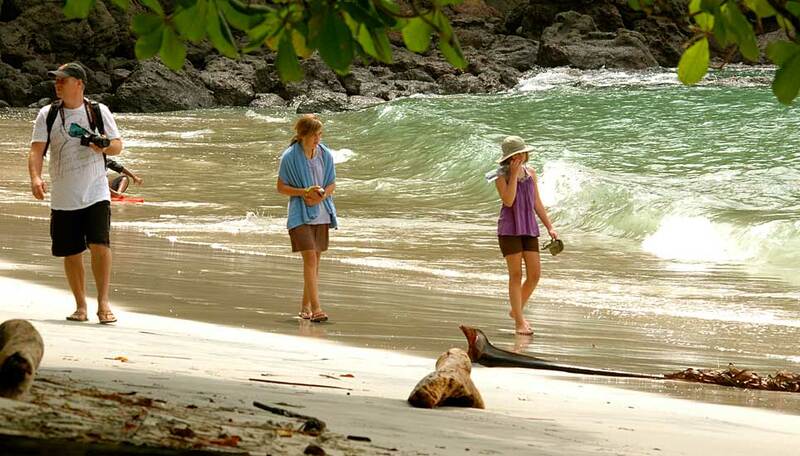 Whilst it is Costa Rica’s smallest national park it is also the most popular. It’s a real gem, so don’t be put off by its popularity. 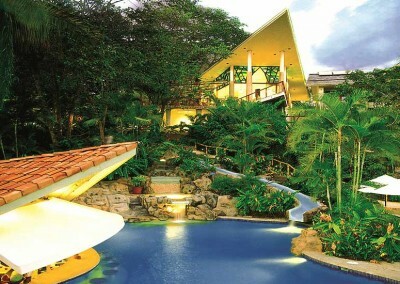 Most people who come to Costa Rica visit this stunning park on the Pacific Coast. Whilst you won’t experience this popular spot in splendid isolation, it is a truly wonderful place and well worth a visit. The wildlife here is fantastic and you don’t have to walk for hours to find it. Search amongst the tree tops for the brightly coloured keel-billed toucan, peel your eyes and seek out the tiny frogs or just stand still and wait for the monkeys to appear. 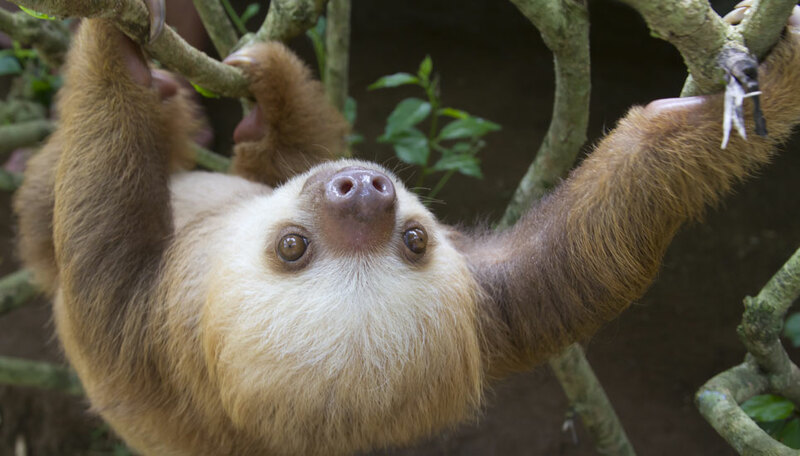 Sloths (of the two and three toed variety) and armadillos are also a-plenty in Manuel Antonio National Park. 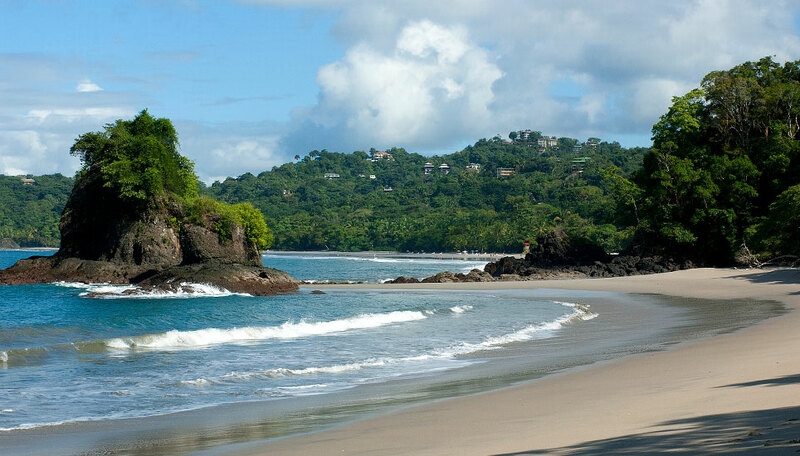 This is an area of intense natural beauty, the rainforest covered hillsides sweep right down to meet the white sandy beaches which slope down to the Pacific Ocean. 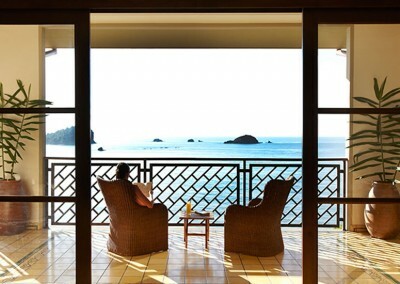 It’s very easy to spend the morning hiking, stop for a spot of lunch and then spend the afternoon relaxing on the beach before heading to one of the nearby hillside restaurants to enjoy a beautiful Pacific sunset. Hiking – Enjoy a stroll through the rainforest watching troops of monkeys going about their business. Wildlife – the concentration of wildlife in this small area is fantastic and you will have ample opportunity to spend in the tropical forest searching out monkeys, sloths and so much more. Relaxing – Stand still for a moment and enjoy the sight of a relaxing sloth – they don’t come anymore chilled than this. Beach – Find a spot on the beach, and take in the vistas of the outlying islands, or just enjoy the palm trees swaying against a backdrop of the Pacific ocean. 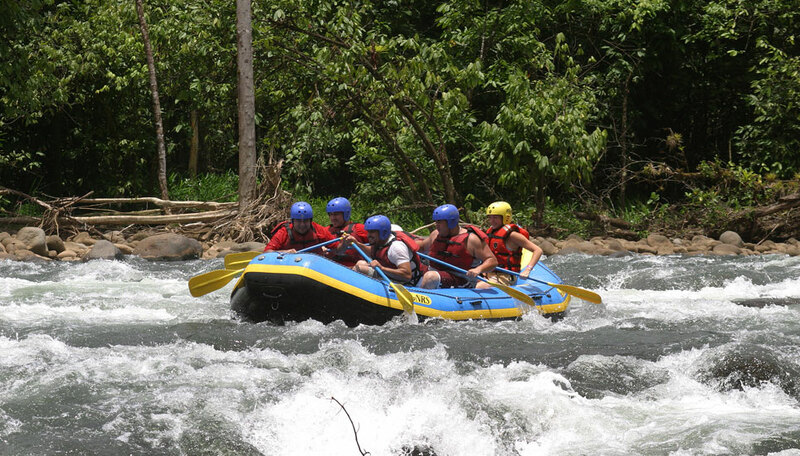 White-water rafting & kayaking – While not in the same league as Turrialba, Manuel Antonio is becoming a white-water rafting and kayaking destination. Even more strings to its bow. 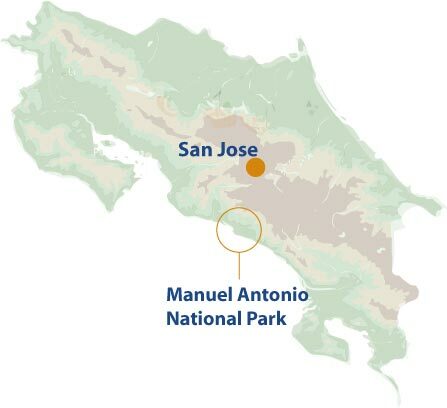 Like other areas in Costa Rica, Manuel Antonio national park receives its fair share of rain in the season, September and October getting the heaviest rainfall. December through to April are the drier months, but don’t rule out May to August and also November when the rains are not too bad, usually just late afternoon/early evening showers. 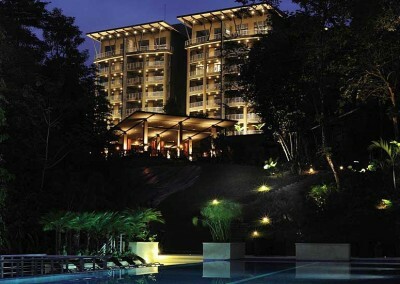 There are hotels to suit all budgets in this area. We have chosen some of our favourites.